Meet your pork’s new best friend, Ole Hickory Pits Apple Q BBQ Sauce. Apple Q Sauce captures all the essential flavors that been used to win competitions from time to time again. It's the secret sauce that will help you boost your backyard pork recipes. 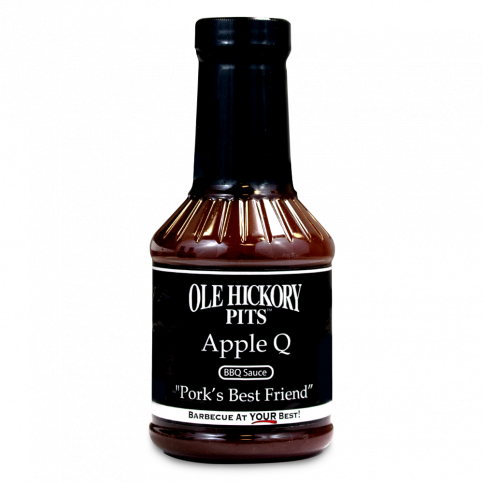 This BBQ sauce offers sweet flavors with a savory aftertaste making it the perfect pairing of flavors to compliment any pork recipe - pulled pork, ribs, and more.